Can you do yoga in 5 minutes? Can Five Minutes, Spent Well, Rejuvenate You and Make You Feel Better? Here’s a blog I’ve recently written for Twinkl. 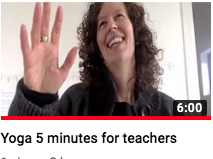 It’s aimed at teachers but you might also enjoy it and talks you through a quick relaxing chair based practice for the end of the school day. I’ve popped a youtube video up of how to do it in practice. It’s a funny thumbnail, but there you go! 5 minutes to change your world, just a little bit. Love has many guises; parental, delectable, tempting, childlike, innocent, forbidden, respectful, free… the list does on. Today I’d like to focus on the love, honour and relish of old and broken things. The Japanese call this wabi-sabi, and when you google it you’ll get delightful photos of graceful, previously expensive and delicious items with arty cracks and antiquated imperfections… but I’m thinking of my trusty old VW Touran. It’s rusty, clunky, dirty with stained seats. It used to be nice, but now it’s tired and old. I know others will look at it with disgust or pity or one up man ship. But I feel love. It’s faithful, steady and I can’t describe how at home and how in love I am with it. 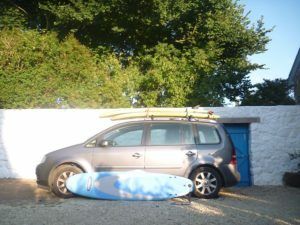 It’s the same for our surfboard: it’s tatty, has bits hanging off. It was never ‘good’ in the first place. I feel love. 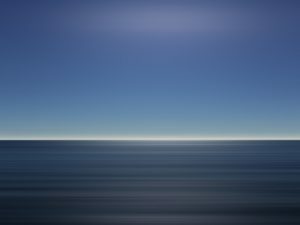 I remember all the waves it’s been with me through, how well it’s served me, how much joy we’ve shared. So how does this relate to yoga? We are all broken, we have stories of joy, tears, pain and journeys. Sometimes we come to yoga and feel not good enough, not this enough, not that enough. Sometimes we beat ourselves up with the words in our heads. To some, I am old, broken, with wrinkles, age spots, dodgy knee, elbow, hips. My lower back goes out and I’m nearly 50. In some ways I’m broken, but am I also absolutely grand. Put me on a yoga mat, a beginners surfboard or dancing to music I love and inside I’m ageless. Sometimes we focus on our loves, children and friends to complete us, and yet our first love is within. This first love in yoga is to listen to your needs, to hear your body’s language and desires. Some days it will tell you it fancies chocolate, other days it will tell you tales of such woe and suffering. It might tell you you’ve been ignoring it for years. It might tell you no matter what your head says it knows better. It may tell you to lighten up. Whatever it tells you, your job is to listen. 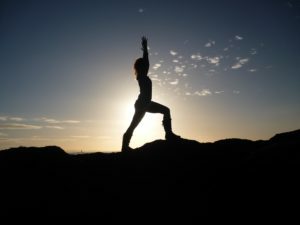 Through yoga, you learn how to be, and how that can defy the expected or described. I am my own VW Touran. One day my Touran will die, my surfboard will die and as will my body. Things end, other things start and in between we learn to fall in love. My challenge to you is to go round your home and possessions and find something showing signs of wear which you adore. Whether it’s a treasured childhood toy, a useful implement or a pair of old worn boots. Something that makes your heart sing. Something when you see it or touch it you feel a bubble of happiness, it might be quiet and comfortable, it might have a gentle wry smile, but it will lift and open your heart. One day this is how I’d like you to consider yourself, your body. Follow your imperfections, soften your focus, and see the love. Your broken body is a wonderful thing, and you are full of life. We are wabi-sabi. Joy and suffering. Pleasure and pain. Laughter and tears. Sometimes life is really very full on. Sometimes you might feel that you’re swirling around, out of control, in a tidal wave of life. Sometimes your loved ones may be under threat, your sanity in tatters and your heart in your boots. The playground of life really can be very challenging. I know some of you feel it, and there are a couple of specific people I’m thinking of just right now. If you read this you’ll know who you are. If you’re in that space now, and it’s years on, this is still for you too. Firstly it’s worth tuning in to your suffering to find out what it is. Where is it in your body? How deeply do you ache? Is there a pragmatic way around this, or do you have to go through? And if you have to go through, go through you must. You know that feeling that you just couldn’t make up the suffering and life stuff that you’re in. That it’s throwing you around like a rag doll. My heart goes out to you. It really is tough. If you find yourself wired to the moon, howling in the rain or just plain lost. Breathe on. Breathe down. And breathe out. Rest, and as you do, see yourself as a mountain, your body as the curves of the hills. Feel the weight of the mountain in your body. Your indivisibility to the earth. When something big happens, like when a loved one is ill, you need time to honour what is alive in you and what you want to give. What your heart wants most. Not their wellness, nor their healing, but what is most alive in this moment. It’s hard to find the sense of preciousness as you watch others suffer, unable to take away their pain or make it ‘all ok’. But underneath the pain, your pain and their pain, is somewhere else. Underneath all that, if you can go through it there is a very alive and really precious moment, where it might not be what you ‘want’, but it is where you can find infinite tenderness. Even the greatest tragedy offers up moments of bliss…. If you let yourself suffer enough through it to become present. That’s the hardest part. You have to be brave, too brave. And finally…. Have a damn good laugh. Really I mean it! If you can find it within you, have a wry snigger, a furtive giggle or a good old belly laugh at the universe’s ability to send you some really tasty morsels of suffering: Joy and suffering. Pleasure and pain. Laughter and tears. This blog is aimed at teachers, but if you tend towards perfectionism there might be something in there for you too. How Will You Celebrate Valentine’s Day With Your Class? This blog gives ideas that you can use to share Valentine’s Day with your class or own children. Living a low toxin life can feel very hard work. 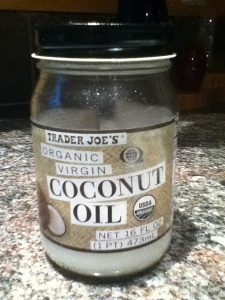 It takes time to source products you like and can feel like a big financial challenge. My aim is to let you know about products that I rate, are affordable, and are easily got. 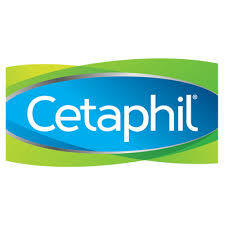 Cetaphil make great face cleaning products – from cleansers to moisturisers. They are designed for highly sensitive skin and can be used after face operations as they are so cleansing and gentle at the same time. A moisturiser is about £12, and cleanser £11. And it can be ordered from your local chemist or bought on Amazon. The down sides of Cetaphil for me are the rather cheesy packaging and ideally Id like super healthy products without paying quite so much. So I’ll keep searching for more lovely things to enjoy and share.